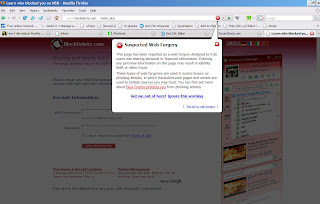 We save your Passport username or password for further use of advertising from your MSN to your friendlist. You can change your password anytime to stop us sending messages these advertising messages. 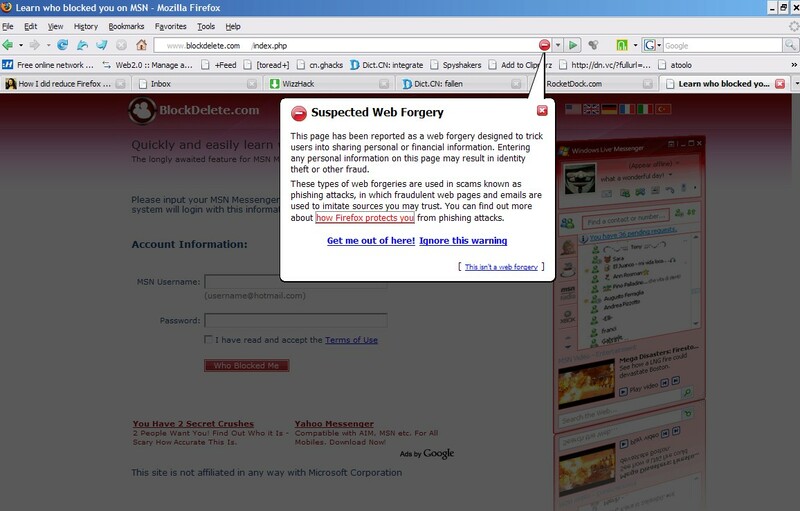 My Firefox browser was warning me while I browse this site: "This page has been reported as a web forgery designed to trick users into sharing personal or financial information...". 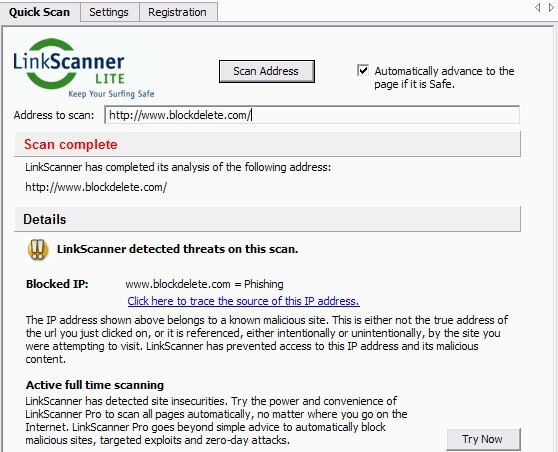 I used Linkscanner to scan this website, the result is www.blockdelete.com = Phishing. 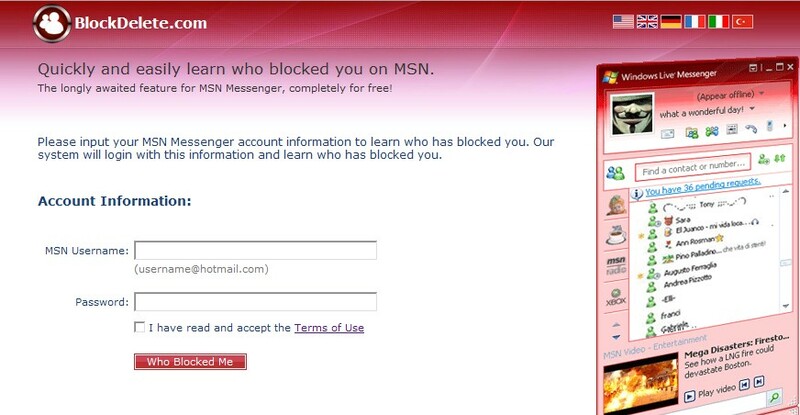 You know what, it still has many people offered their MSN account information. 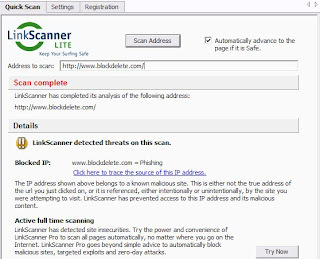 It has another domain Free offers for you redirect bring you to Blockdelete, Firefox and Linkscanner did not do any reaction.